As if it was under the spell of Lady V's "Spirit" or being manipulated by Sye's "Cartoon Cabinet", the Dominica Calypso Association (DCA) took what looked like an eternity to decide that Lady V and Sye were the joint winners of the 2017 Road March. 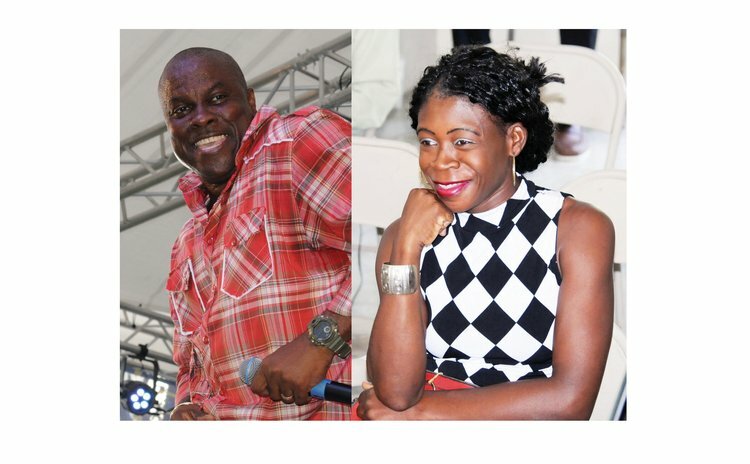 "We had a lot to contend with because the first thing we had to contend with is that we did not have a dominant song on the road because Calypso, from all reports, did not play very much," Davidson "Observer" Victor, the DCA Public Relations Officer, told DBS radio last week adding: "For example Lady V's song dominated the season from the beginning but in terms of on the road where the Road March is being counted, the songs that have been played on the road for the Monday and the Tuesday, Sye ended up coming to meet with her…"
On the issue of the playing of Calypsos during the carnival parade, Robert Tonge, the Tourism Minister, promised to fix the few-Calypso-playing-on-the-road problem next year. Traditionally, the Road March title and prize goes to the calypsonian whose song is played the most during the Monday and Tuesday road parade. So Vernice Joseph ((Lady V) and Murphy Jules (Sye) will share the prize of $3,000. "Well, is now Lady V goin' say people grudging her," said a Calypso fan, referring to the lyrics of Lady V's song. The 37 year-old Fond Cole mother-of-two introduced "De Spirit" at the Calypso Eliminations earlier in the Calypso season and although she did not qualify for the Quarter Finals nonetheless her audience went crazy about the song. "They were asking-more, more, more," she said to the Sun last month. What Calypso fans wanted more of was a simple but jumpy tune. Here are some of the lyrics.